Back fat is a problem that many people want to address the minute they realize they have back fat. Because it can self-confidence issues when it comes to your appearance, it is best to learn as much about it as possible, including how to get rid of back fat. Back fat are deposits of fat that line your back — from your shoulders down near your bottom. It is common to see back fat and love handles, deposits of fat around your midsection, together, and it’s a sign that your body is carrying excess body fat that it’s having a hard time finding a use for. Back fat is caused by a number of things, including your genetic makeup, diet and exercise routines, how much time you spend sitting down, and your posture. 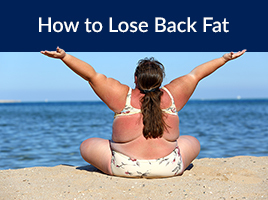 The main takeaway for the cause of back fat is this — if you are sedentary with a diet full of sugary foods, alcohol, and processed foods, your probably have back fat. How much does diet and exercise really account for back fat? Nearly all of it. Most people will realize after a few hard weeks of training that back fat will dissipate, and that comes only after they clean up their diet and hit the gym five days a week. Because humans are designed with an energy input/output system when it comes to our biology, it is imperative you use the energy you intake. This keeps your body in balance. When your body is out of balance — like when you drink too much and don’t hit the treadmill — fat is the first sign your body sends you that something is wrong. 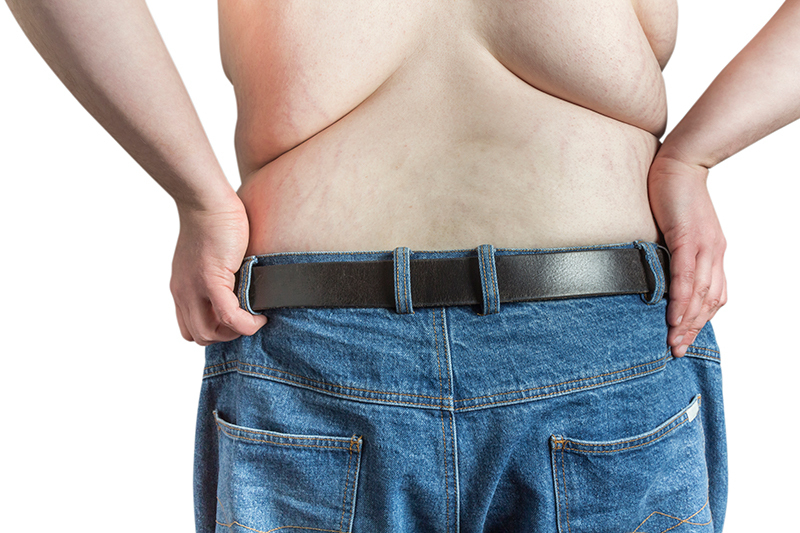 Believe it or not, it can be difficult for men to gain weight in their back. It is not unheard of, but an otherwise healthy male will rarely have fat deposits anywhere on their back. This is because men are not biologically engineered to hold onto fat. This makes it easier for men to lose weight and tone their muscles. For a man to have back fat means he has not been active nor healthy for a good amount of time. It can be a hard road for this man to get back into shape, but it is not altogether impossible. 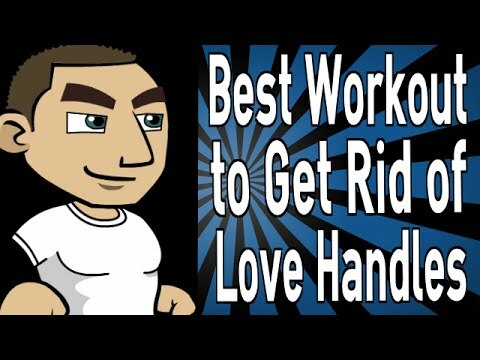 It will just take some time and attention to dietary habits and a willingness to break out of a rut to achieve the goal of getting rid of back fat. Women are more likely to gain fat in their back than men, and this is due to evolutionary biology. Because women are the child-bearers of the human race, a woman’s body needs to gather — and maintain — a specific level of fat in order for her to successfully deliver a child. This happens regardless if she’s actually pregnant or not. 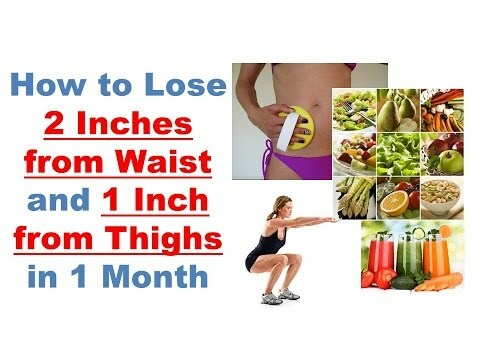 Unfortunately for women, this can begin a life-long struggle to combat fat deposits all around the body. Women have a harder time shedding weight and fat than men, and need to be more regimented in their diet and exercise. Yoga is especially important for women, as it helps to lose back fat as well as reduce stress, which can also factor into the levels of back fat. Women who are looking to reduce back fat will also want to watch their carbohydrate intake to ensure they are running on pure fuel to see the best results. There is a difference between upper back fat and lower back fat, and it all comes down to genetic factors. Depending on how your body’s biology works, you may find that you accumulate back fat on your upper back or lower back. Some people find that the back fat is evenly distributed. But if you have one trouble area, like the upper back, it can be helpful to know which exercises can help you reach your goal of losing back fat fast. Back fat rolls, upper back fat, and lower back fat are unsightly. No one, let alone you, wants to look at it. So what do you do? 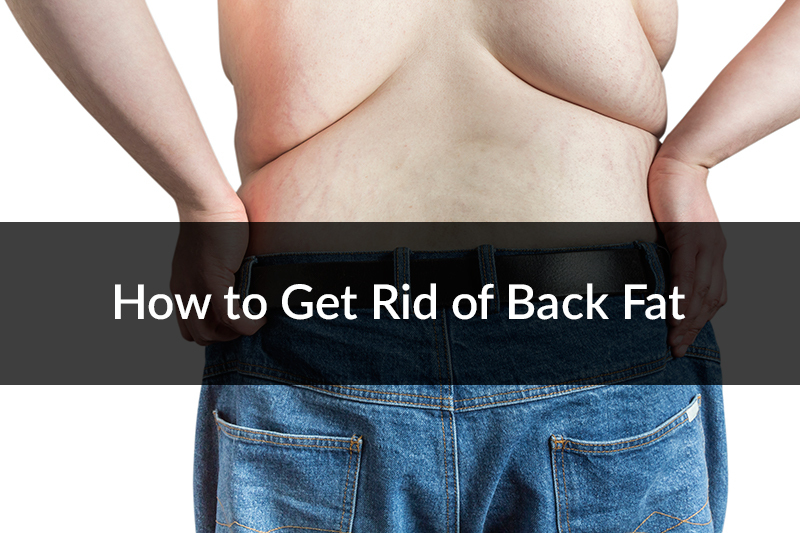 If you’re continuing to ask, “how do I get rid of back fat?” then you’re in the right place. You know there’s a problem, you’re willing to change, and now you just need to know the steps in order to make it happen for you. Diet cannot be stressed enough as a primary factor in losing back fat. By eating the right foods in good portions, you will feed your body the nourishment it needs while also ensuring that you have enough fuel to get your through your day and your workouts. So what does a good diet entail? 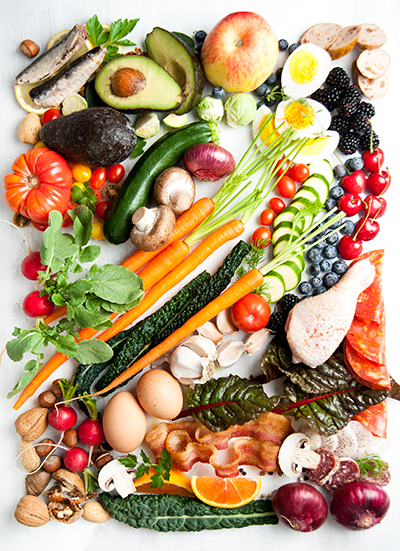 Fresh fruits, vegetables, lean proteins, healthy fats, and a variety of nuts. A good diet limits alcohol and eliminates sugary and processed foods. And for most people, just changing their diet will show them a change in their body without even adding exercise — although exercise is still highly recommended. But just by living on whole foods, you’ll find that you have more energy and are more alert than when you ate fast food and candy. But nothing will stunt your back fat goal like overlooking your diet. You can workout every day in the gym, but if you are still eating horribly, you will not see changes. If you want results, change your diet. Are you getting eight hours of sleep? Very few people do, so if you’re someone who gets less than eight hours of sleep a night, you’re not alone. In fact, you’re in the majority. But getting eight hours of sleep is crucial for your body. It allows your body time to recover from the day’s activities, gives you time to rest, and works on your immune system along with a bunch of other bodily functions that we have yet to fully understand. If you’re thinking that scientists and studies say you don’t actually need eight hours, and you can get away with six, well, that’s not entirely true. Your body works on REM sleep, which is a sleep pattern that gives your body the right signals to let it know it can start repairing your body. 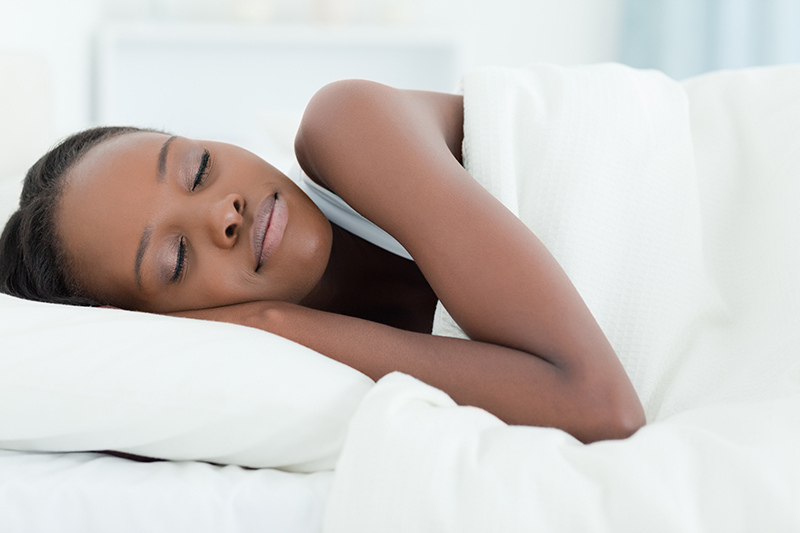 Because the sleep pattern renews itself every 90 minutes, the best way to get the full benefits of a night of restful sleep is by getting eight hours. Getting less than eight hours of sleep a night is not ideal, and you should always strive for eight. If this is a stretch for you, and you think it’s impossible for you to reach this goal, consider your nighttime habits. Are you snacking late at night? Are you binge watching shows until one in the morning? What are you doing so late at night that is more important than sleep? If getting to bed early is a problem for you, pick a bedtime and shut down all your electronic devices 45 minutes beforehand. The blue light emitted from your devices keep you awake longer. By shutting them off, you’re allowing yourself to fall asleep earlier. If this trick works for you, stick to it until you find a bedtime that sees you wake up eight hours later feeling refreshed. You’ll see other benefits too, other than losing back fat — you’ll be less moody, more energized, and you’ll start the day with a clear mind. It’s definitely worth it. Stress seems to be a part of every day life, doesn’t it? You have a job, friends, loved ones, goals, dreams, ambitions. You have fears and dreams too. And sometimes it feels like everything is collapsing all around you. It can feel like you’re being swallowed up by your life and that you don’t have the energy to fight it anymore. Relax. Take a deep breath. It is not as bad as you think. And your goals are within your reach. You just have to take the first step, which is managing your stress. Can you get rid of all of your stress? Probably not. But there is a lot of stress that you put on yourself that you don’t need to. And by focusing on the things that stress you out that you can change, you will find yourself making more positive changes, like working out and eating right. 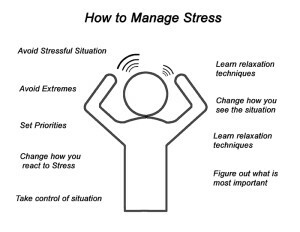 So how do you manage your stress? Take five minutes out of your day to meditate. Talk to a loved one about what’s going on in your life. Take a few minutes to take care of yourself. Learn a new hobby or just go on a walk. Do something for you. Although managing your stress can seem like it has absolutely nothing to do with back fat, it does. Cortisol is a hormone that is affected by stress — the more stress you have, the higher levels of cortisol that course through your system. The more cortisol in your system, the more fatigued you will feel, and you will not want to work out or eat right. See the relationship? So focus on getting your stress under control. You don’t need your stress levels sabotaging your back fat goals. Exercise, both cardio and toning, will help your body burn through the fat deposits on your body. But it’s important to do a combination of both. Cardio, which should be done for a total of five hours every week, needs to be intense and vigorous exercise. Focus on the speed and power of your cardio workouts, and ramp up the intensity every few sessions or so for the best results. Strengthening and toning exercises should be done on alternating basis, three times a week, as part of a total body workout. Because the back is hard group of muscles to isolate, you will find by doing total body workouts, and even yoga, will give you definition in your back that you didn’t realize was possible. Getting rid of back fat is a fight that nearly everyone takes on at some point, but it won’t end in disaster if you stay on top of your diet and exercise routine. And by using the above tips on how to get rid of back fat, you’ll find that you will become toned and healthy with a back you’ll want to show off. Just remember that everything worth doing takes effort.